Local software development firm Don’t Panic Labs is excited to announce their second annual Towel Day towel drive, which will be held on Friday, May 25. The drive kicks off at 9 am outside the Don’t Panic Labs offices at 151 N 8th Street in Lincoln’s Historic Haymarket District (just outside of KD Designs and Scooters). Team members will be on hand to collect towels that will be donated to the People’s City Mission. Any condition of towel will be accepted. The team will receive donations until 3 pm. The date of the drive holds special meaning for Don’t Panic Labs. May 25 is internationally recognized as Towel Day in celebration of the late science fiction writer Douglas Adams. 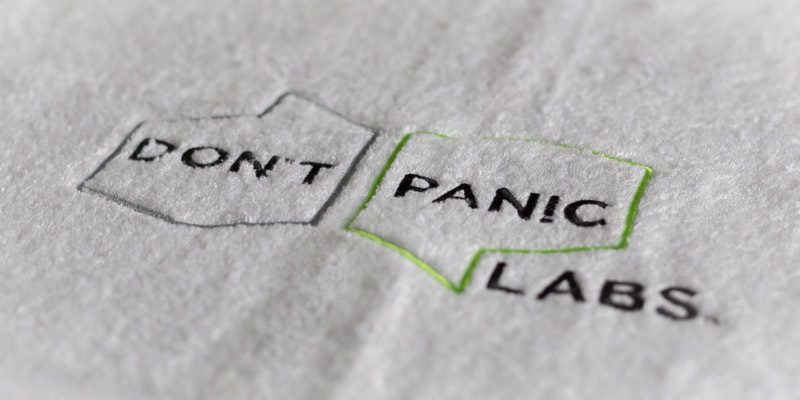 The company’s name was inspired by Adams’ best-known novel, The Hitchhiker’s Guide to the Galaxy, where the words “Don’t Panic” are printed on the cover of the Guide. In 2017, the company collected 800 towels on Towel Day. Their goal is to collect 1,000 towels this year.